Hogarth’s Pest Control specializes in Spider removal in Traverse City, Michigan. There are many different types of spiders in Michigan. Most of them are just web builders and house invaders. There are only two spiders in Michigan that are considered dangerous: the Brown Recluse the Northern Black Widow. Spiders and their webs attack any type of unprotected structure. Do you come back to your cottage or cabin and have to walk through webbing to reach your door? Are you sweeping webbing off your screens so you can look out your windows? Do you have to wash the spider mess off your windows more than once a year? 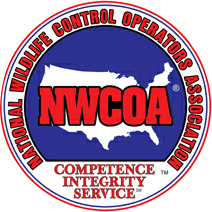 These problems are very common in wooded and heavily-scrubbed areas as well as waterfront properties. Spiders leave droppings, which will spot, and pit out wood, vinyl and painted siding. A pest control application will prevent you from having to do these chores for the season. There are a variety of different species of spiders but the most common are the web building spiders. These spiders leave their webs and droppings on homes and siding. With time, they can do damage by causing web build up and staining, especially with vinyl siding. The only two poisonous spiders native to Michigan are the Brown Recluse and the Northern Black Widow, however these are not very prevalent and are rarely found in or around homes. The Brown Recluse rarely bites unless pressed against the skin. It is common to its name in the fact that it hides in dark areas, gloves, undisturbed clothing and bed sheets, and it is non-confrontational. The Brown Recluse can be identified by the violin shaped marking and can range in color from cream to brown to dark brownish gray. If bitten by this spider it is imperative you seek medical attention immediately as it can turn into severe skin lesions. The Northern Black Widow is shiny black in color and can be identified by with a red hour glass marking on the underside of the abdomen, which is incomplete or split in the middle. It can also have white stripes on the abdomen. This spider is timid and chooses to flee when disturbed, therefore rarely bites. If bitten pain is felt almost immediately and increases for 1 to 3 hours. There has only been a 1% mortality rate from being bitten. Identification is key with spiders, and we always ask our customers to try and save specimen for the professional to identify and treat accordingly. 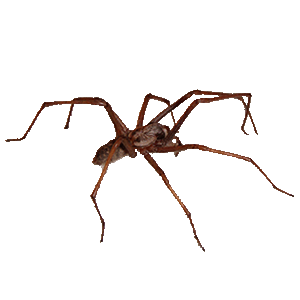 Hogarth’s Pest Control specializes in the removal and prevention of spiders in and around homes. If you are experiencing an unpleasant spider issue, do not hesitate to give us a call today!